The contestants of Bigg Boss 8 may be biting each other's heads off in the house but once out of it, they obviously love to party with each other. Days after the season concluded, some of the housemates got together for a party with Red FM's RJ Malishka. 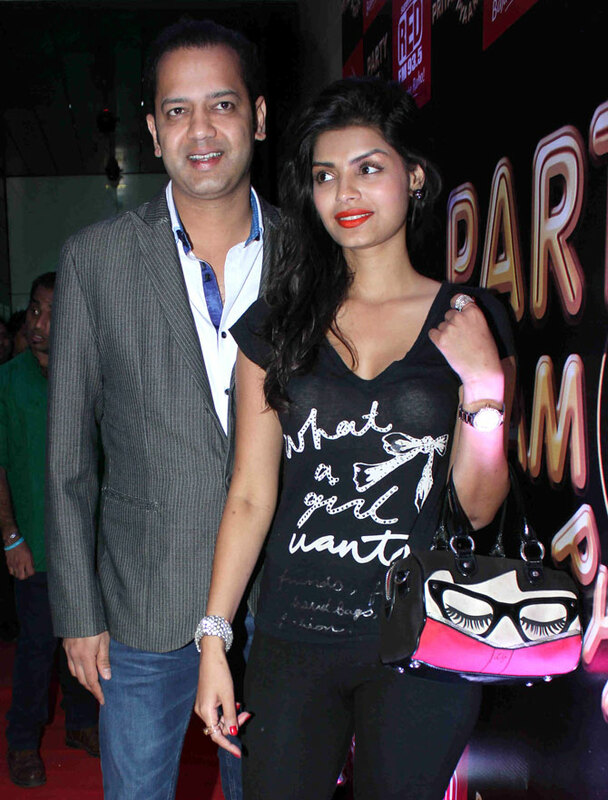 Rahul Mahajan catches up with Sonali Raut. 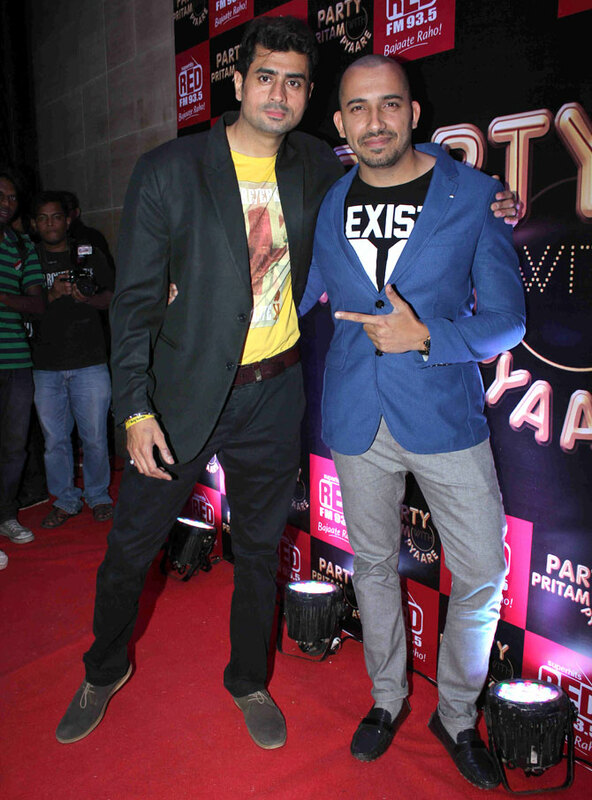 Pritam Singh hugs Ali Quli Mirza. 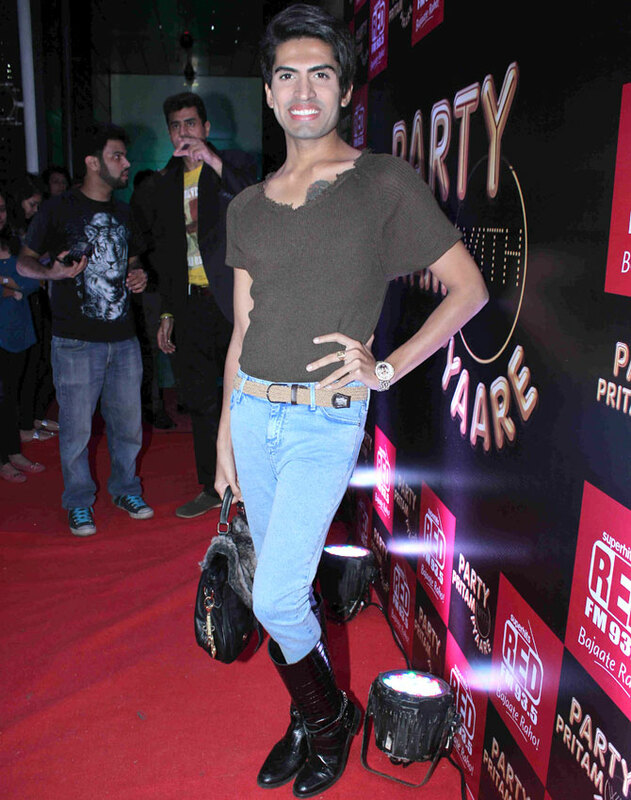 Sushant Divgikar strikes a pose. 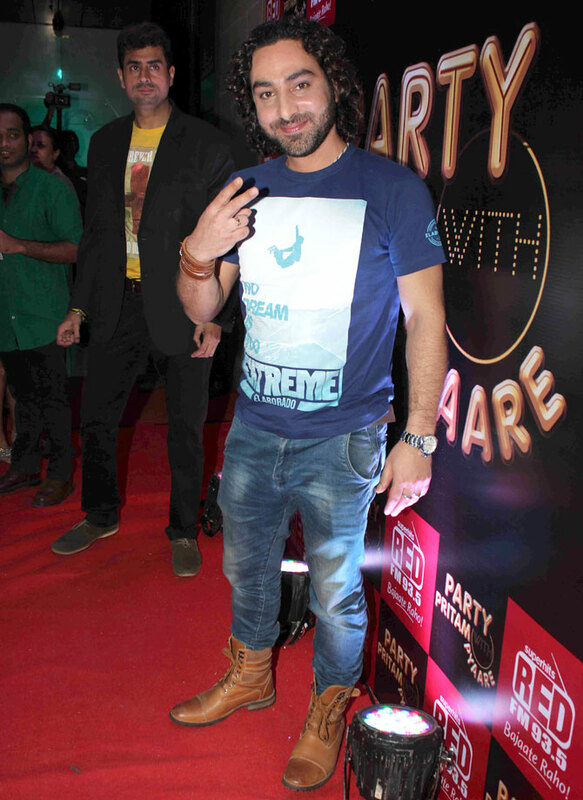 Praneet Bhatt gives the Victory sign. 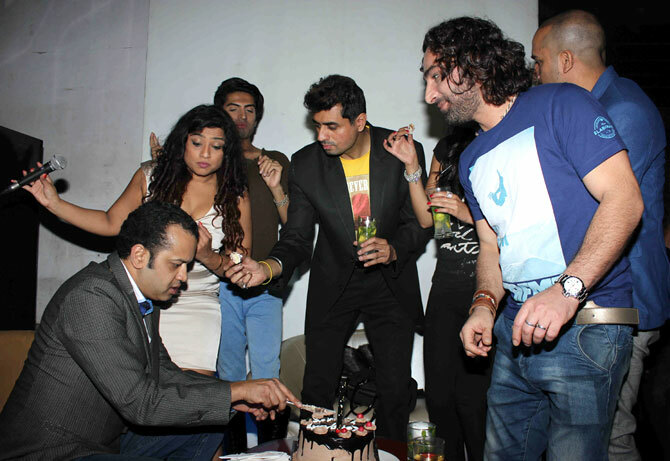 The contestants gather around to cut a cake with RJ Malishka. Later, the contestants also attended a party thrown by former contestant Armaan Kohli.